The 146 connects England's third city with the town that once produced 90% of the world's needles. It runs hourly Monday to Saturday daytimes and is operated by Rotala's Diamond. Click here for more great bus routes in the Midlands. Buses towards Redditch use stops LA and LK. Buses towards Birmingham use stops LJ and LN. Stirchley is just a short walk away from Bournville railway station and Cadbury World. One stop along is Kings Norton railway station, which isn't actually in Kings Norton village. The last stop in the West Midlands County is at The Crest. Just in the distance in the picture above, where the road crosses the Worcester and Birmingham Canal is the Hopwood House pub. Redditch railway station is a short walk away. The cheapest day ticket that is valid throughout route 146 is the Diamond Network Day ticket at £6.20 for adults. If you'll only be travelling within the West Midlands (that's from Birmingham as far as West Heath, The Crest on the 146), then you can use the Diamond West Midlands Day ticket at £3.60 for adults. It is valid on all Diamond and Signature buses within the West Midlands County. If you're travelling only within the West Midlands County (that's from Birmingham as far as West Heath, The Crest on the 146) and need to use other bus operators, trams, trains or a combination of them, then you need a Network West Midlands ticket. A 1 Day nBus Adult ticket currently costs £4.30. It is valid on all buses throughout the West Midlands County, regardless of operator. If you're only going to be travelling within Worcestershire (that's from Redditch as far as Hopwood on the 146) and also want to use the buses of other operators, then a County Connecta ticket at £6.90 is what you need. If you're arriving in the region by train, then a Birmingham Plusbus ticket has the same validity as a 1 Day nBus. It's valid on the 146 between Birmingham and West Heath only. Redditch has a Plusbus ticket too, but its validity zone is so small that it really won't get you far on the 146. Network West Midlands produces a comprehensive series of maps showing all bus routes throughout the West Midlands County. See their Birmingham maps here. There's one showing a detailed plan of the city centre, one showing the whole city and ones showing connections from major interchanges, which on the 146 includes Lee Bank, Edgbaston and Cotteridge. Cotteridge is the place to change to/from the 11A/11C circular service, operated by National Express West Midlands. From central Birmingham, the Midland Metro tram runs towards Wolverhampton. The train provides a good alternative to the 146, with a parallel route and several stations near where the bus stops. They also run more frequently and will get you there more quickly. See train timetables at London Midland's website. An adult off-peak day return (with morning and evening peak restrictions Mon-Fri, valid any time at weekends) between Birmingham and Redditch costs £5.60. See more train fares here. Between Cannon Hill Park and Cotteridge, National Express West Midlands routes 45 and 47 provide a higher frequency along the same route as the 146. They also continue into Birmingham City Centre from Cannon Hill Park, but via a different route to that used by the 146. The X39 and X40 connect the major Thames Valley town of Reading with world-famous university city Oxford. They run every half-hour Mon-Sat daytimes and hourly evenings and Sundays and are operated by Go Ahead's Thames Travel. The X39 is slightly quicker, with the X40 taking a detour through Woodcote. Discover more great bus routes in the South East here. A short walk away up Horsepond Road is The Reformation pub. Only the X40 serves Woodcote. The X39 sails past on the A4074 by-pass. Buses to Oxford stop on the right, buses to Reading on the left on the A4074 Oxford Road. The actual village of Dorchester is a short walk away. See the full timetable on the websites of Thames Travel or Traveline. The cheapest day ticket that is valid throughout the route of the X39 and X40 is Thames Travel's Go Anywhere Ticket, the adult version of which currently costs £8. It is valid on all Thames Travel and Oxford Bus Company services within the South Oxfordshire zone (map on Thames Travel's website), which covers all of routes X39 and X40. In the Oxford Smartzone, which covers most of the city, it can be used on any bus operated by Thames Travel, Oxford Bus Company and Stagecoach. For information on single and return ticket prices, contact Thames Travel directly. For journeys within Oxford, Smartzone tickets issued by Stagecoach (Oxford Dayrider £4) or Oxford Bus Company (Day Pass £4) are valid on the X39/X40 between the city centre and Canning Crescent. If you're arriving in Reading by train, then the Reading Plusbus is valid on the X39/X40 as far as the borough boundary at Shepherd's Lane. Oxford Plusbus tickets have the same validity as the Oxford Smartzone tickets described above. See maps of all routes operated by Thames Travel here. Most local buses in Reading are operated by Reading Buses. See their network map here. 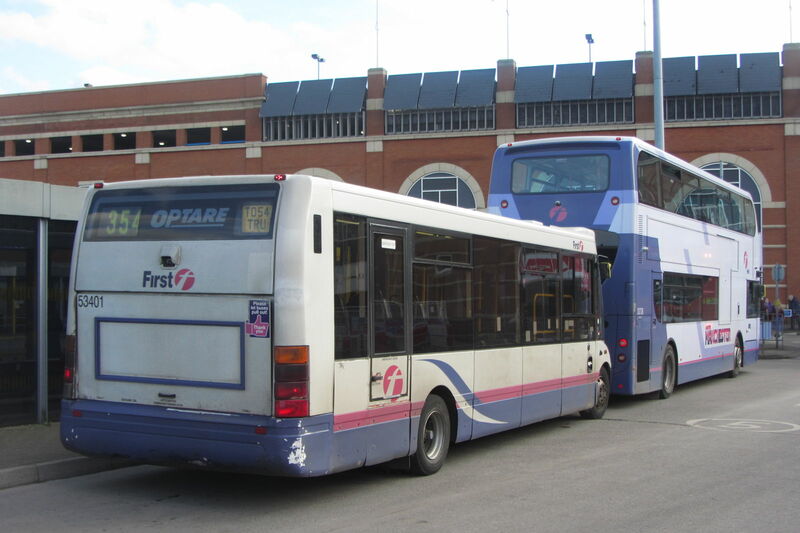 Oxford's other major operator is the Oxford Bus Company. Find details of their network here. No other bus route runs alongside the X39/X40 for any significant stretch of the route, so the main alternative is the train for end-to-end journeys between Reading and Oxford. If you travel after 0859 weekdays or anytime at weekends, an adult single will cost £8.80 and a day return is £8.90. More rail fares here.